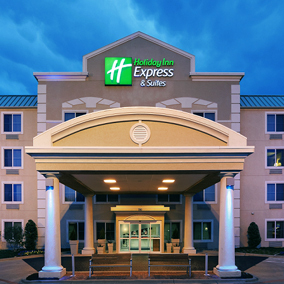 Hamra Enterprises is the owner and operator of a Holiday Inn Express & Suites in Lewisville since 2006. 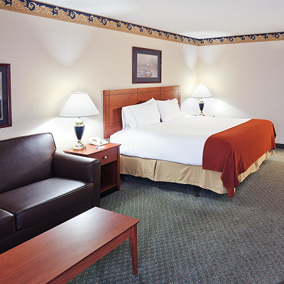 We are located at 780 East Vista Ridge Mall Drive, originally opened as a Baymont Inn & Suites in October 2001 and the conversion to a Holiday Inn Express Hotel & Suites began in June 2006. The smoke-free property, with a total of 90 guest rooms and suites, features 20 Suites, 8 King Featured Rooms with whirlpool tubs and 62 Standard Rooms. 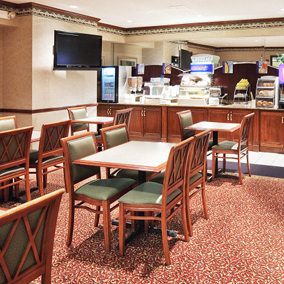 Guests enjoy the complimentary Express Start® Breakfast Bar with hot items and signature cinnamon rolls. The Holiday Inn Express & Suites in Lewisville employs 18 people, including General Manager Gene Smith and Sales Director Kathi Berry. Find out how we delight our guests, winner of the Torchbearer Award Winner by InterContinental Hotels Group (IHG). Distinguished as the highest accolade in the IHG system, the Torchbearer Award goes to the top 3% of all IHG properties in North America. It is measured by their guest satisfaction scores. Selected out of approximately 4,400 IHG hotels, which is the world’s largest hotel group in number of rooms, Holiday Inn Express & Suites Lewisville is excited to be recognized for their commitment to service excellence. 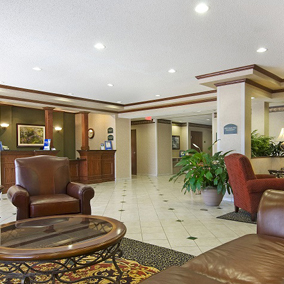 To book your stay, contact the Holiday Inn Express Hotel & Suites Lewisville, Texas online.